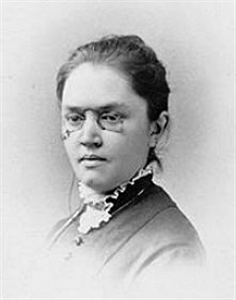 In June 1893, 33-year-old Katherine Lee Bates, head of the English Department at the fledgling Wellesley College, boarded a sleeper car in Boston on the Fitchburg Railroad bound for Chicago and points west. It was a journey that would forever transform the American psyche. Katherine’s ultimate destination was Colorado Springs, where she had been hired to teach two summer school classes at Colorado College, one on Chaucer; the other on “English Religious Drama,” whatever that is. Her first stop was in Chicago, site of the World’s Columbian Exposition, or World’s Fair, which celebrated the 400th anniversary of Christopher Columbus’ first voyage of discovery, albeit a year late. The centerpiece of the exposition was a cluster of 14 buildings in the Beaux Arts style, painted a dazzling white that made them appear to be wrapped in marble, a utopian cityscape not unlike Walt Disney’s later “Experimental Prototype Community of Tomorrow,” which we Floridians know better as Epcot. Former ABC News correspondent Lynn Sherr writes, “This stanza is aimed at the greed of those Bates also called the ‘money maddened throng.’ Like many disillusioned by the excesses of the Gilded Age, Katherine Lee Bates wanted to purify America’s great wealth, to channel what she had originally called ‘selfish gain’ into more noble causes. She didn’t oppose material success – indeed she was awed by the century’s great industrial progress – and this may be the only national song to put profit right up there with patriotism. But her dream demands more, asking that our successes – individual and national – reach beyond our own personal agendas, so they ‘no longer stain,’ as she’d first written, the grandeur of American freedom. She doesn’t mention any corporate or political leaders by name, but the people who read and sang her words a century ago likely had their own candidates.”3 As we might also do today. All this reminds me of the stanza from “Take My Life and Let it Be,” also in the United Methodist Hymnal. Not mite would I withhold. When we ask God to take our silver and gold and refine it for God’s purposes, we are truly living as Christian stewards, reflecting the abundant generosity of God, the source of all that we have and all that we are. May God’s grace be shed on you and yours, this Independence Day and every day, from sea to shining sea, and beyond to all God’s beloved children. As the stewardship voice of the Florida Conference, the Foundation is ready to help you, your family and your church with anything related to comprehensive Christian stewardship. For more information please call, click or write us at 1-866-363-9673 toll-free; www.fumf.org; or PO Box 3549, Lakeland, FL 33802. 1,2,3 Sherr, Lynn. America the Beautiful: The Stirring True Story Behind Our Nation’s Favorite Song. New York: Public Affairs, 2001.